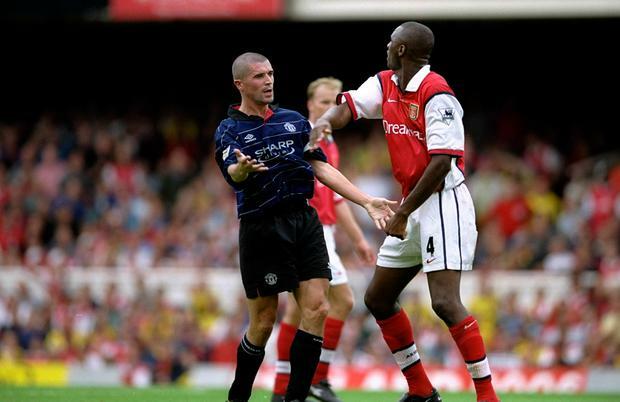 Emmanuel Petit claims he was 'ready to go to war' with Roy Keane as Arsenal went head-to-head with Manchester United in some of the most iconic battles in Premier League history. Yet French World Cup winner Petit has insisted he was content to let his midfield partner Patrick Vieira take centre stage in a head-to-head in battles that were pivotal to to title race in the late 1990s. While United captain Keane and Arsenal skipper Vieira were bitter rivals as they led the best two teams in English football during a golden era of the Premier League, Petit insists he did not need to seek out such a glaring limelight as he played a crucial role in the Gunners 1998 Double winning team. "I am happy that everyone saw this battle as Keane vs Vieira," Paddy Power ambassador Petit told Independent.ie. "I was never the type to look for the spotlight. Even after we won the World Cup, I did not look for the attention. if you can find a picture of me with the World Cup, I will give you €100. I don't want that attention. Some players are happy to carry this kind of profile and enjoy it, but I prefer to sit back and do my job. "I might be quiet, but I was ready go to war at any moment if someone brings it to me. I won't come to kick you from behind just to show I am the big man, but I will stand up for myself when the moment is right. If you try to do things to me on the pitch, I will come back at you. "I never had anything against Keane and did not look to have a battle with him, but I can tell you that if he came to me in a match and tried to take me out, I don't give a s***. I was never afraid of anybody." 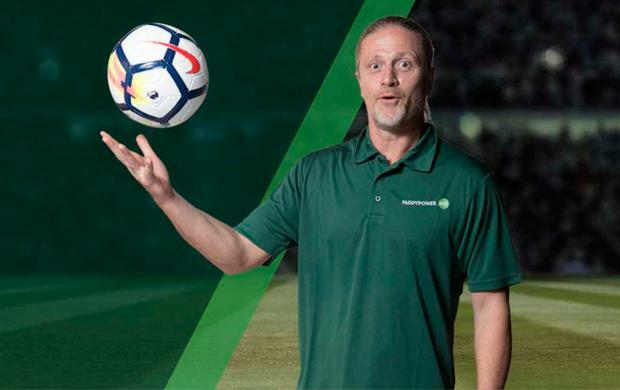 Petit went on to offer a warm tribute to former Ireland skipper Keane, as he suggested he was one of the best players he competed against during a career that also included spells at Monaco, Barcelona and Chelsea. "Roy Keane was different to me," he continues. "He was happy to be the leader, to symbolise the aggressiveness of what he wanted from his team. He was a great player, one of the best. "He could tackle, even if he sometimes went over the top here, he could pick a great pass, he would get forward at the right moment and he could finish. So when I pick a team of the best players I played against, Roy Keane would be in there. "Could Keane's style of play work in the Premier League now? He would need to change some things. Now the game is quicker, we have more players who are technically gifted and tackling is not as big a part of the game, as the rules protect players so much. But he was a great player and I believe he would have adapted." Petit concedes Wednesday's night clash between United and Arsenal at Old Trafford lacks the gravitas the fixture commanded when he was playing such a key role in Arsene Wenger's first team of champions, with the two clubs doing battle this week no longer in contention to win the Premier League title. Yet he believes the woes being endured by United manager Jose Mourinho could give his old club a chance to win at Old Trafford in the Premier League for the first time since 2006 after Unai Emery's side beat Tottenham in last Sunday's north London derby. "I look at what is happening at United and it's clear that there is a lack of harmony at the club," adds Petit. "Mourinho is not getting the best out of the players he is working with and I wouldn't just blame him for that. "Some United players have gone into hiding and they seem happy to blame Mourinho for everything. This is a sad part of the game now. Have pride in your own performance and do not look to blame others for your mistakes. This is a sad part of the game we see too much now. "Unai Emery had the same problem at Paris Saint-Germain over the last two seasons. His players did not respect him and the club's President sided with the players rather than the manager. This was not a good place for him to be and I am pleased to see him at Arsenal. "I don't feel sad that it ended like it did for Arsene Wenger because the time was right for change and Unai Emery has already proved that. "Even though I don't think Arsenal can compete for the Premier League this season, they have a couple of options when it comes to competing for a place in the Champions League and both are very realistic. "Top four is possible, for sure, but it will be tough with so much competition at the top of the table. Then you look at the Europa League and the winners of that competition go into the Champions League. Emery has won this trophy many times before and he can do it again."